As St. Augustine of Hippo taught, this day was made holy by the passion, by the blood, of the blessed apostles Saint Peter and Saint Paul (cf Sermo 295, 1-2, 4:7-8; PL 38, 1348-1352). Based on Saint Peter’s profession of faith, “You are the Messiah, the Son of the living God” (Matthew 16:16), Jesus pronounced him: Peter, the rock on which He would build His church (cf Matthew 16:18). St. Peter did not come to this conclusion on his own. But, rather, it was revealed to him, as Christ said, “by [Jesus’] heavenly Father” (Matthew 16:17). It was the same for Saint Paul. The Gospel he preached was not of human origin. Rather, it came through a revelation from Our Savior (cf 2 Galatians 1:12). Both men truly loved Our Lord, which was certainly a wonderful thing. But, what is perhaps even more important, is that Sts. Peter and Paul made that love real. They made it come alive: enfleshing it and demonstrating it by their actions: by preaching the Gospel, by their prayers, and by living and dying as witnesses to the truth of who Jesus is, the truth of His way, and His life. Indeed, they were –and are– true friends of God. 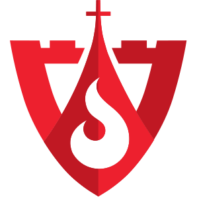 We are also called to do the same: to decide for Christ and set Him as a seal upon our hearts – to love Him and to “do” that love in communion of mind and heart with the life and love of God: exhorting others, by the example of our words and actions, by our prayers, by denying ourselves, by taking up our crosses daily, and by putting the Gospel into practice, even to the point of sacrificial death … should it come to that. Christ has already done so for us. And, we know that no one has greater love than to lay down their life for their friends. It is the least we can do in return, making of our lives a total gift in love, offered to God, through Christ, for Him, for His Church, and for those we have been called to serve. May Saints Peter and Paul pray for us and, through their prayers, may they help us to be completely conformed to Christ. May we be faithful to Jesus through the Church’s authority, which Christ himself established. 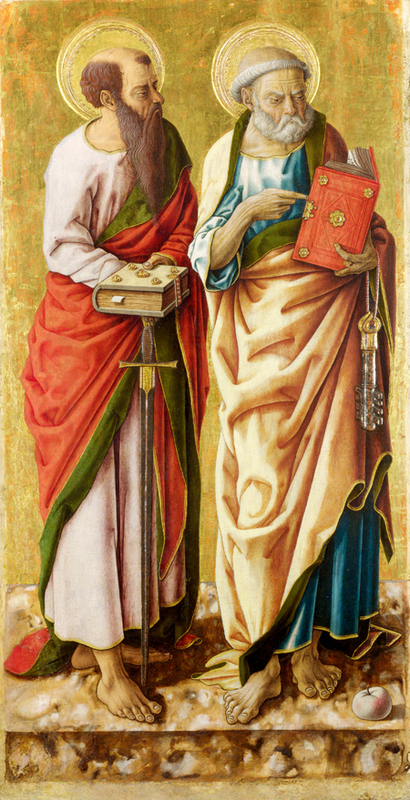 Art for this post on the solemnity of the Apostles Saints Peter and Paul: Saints Peter and Paul, Carlo Crivelli, c. 1470, PD-US author’s life plus 100 years or less, Restored Traditions, used with permission.